Our Hand-Arm Vibration Awareness training looks at what employers and employees can do to recognise and reduce exposure to vibration at work - whether in commercial or industrial environments. Minimise the risks associated with long periods of exposure to vibration with our IOSH approved course. 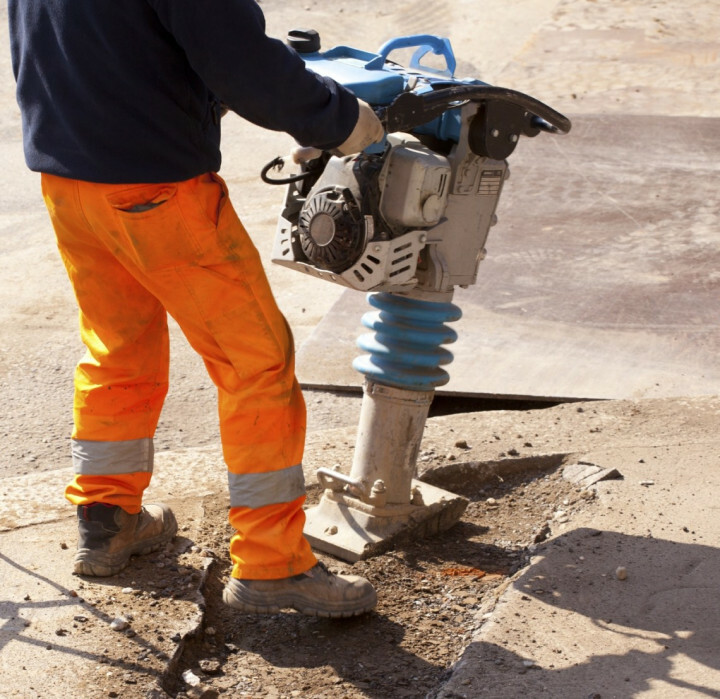 Regular exposure to vibration can adversely affect your hands and arms. This online training programme looks at the risks associated with vibration, as well as who's at risk and what can be done to reduce harmful exposure. Exposure to vibration may not sound dangerous, but the effects can be severely disabling if you ignore the symptoms and carry on without being able to recognise when your exposure exceeds a safe level. This concise and effective training programme will help you to recognise the early warning signs so that something can be done before it’s too late and damage becomes permanent. There were around 635 reports of Vibration White Finger and 260 reports of Carpal Tunnel Syndrome in 2015, which are both contributors to HAVS. Understand your responsibilities as an employee or employer and avoid HAVS with our Hand/Arm Vibration Awareness Training. This is core health and safety training for those involved in Construction and Manufacture or using heavy machinery. People at risk of Hand Arm Vibration Syndrome may also be interested in our Personal Protective Equipment Training and/or our General Workshop Safety Training. The Hand Arm Vibration Awareness (HAVS) Training course is broken down into 2 sections. 1) What is Hand-arm Vibration? Hand-arm vibration or HAV is exactly what it sounds like – it is vibration which affects your hands and arms. And it happens when you work with vibrating handheld tools or hand-guided equipment. It also happens if you hold materials being processed by hand-fed machines. This section looks at how working with vibrating tools can affect your health. We look at Hand-arm Vibration Syndrome and explain exactly how the stages of this illness progress and what happens at each stage. We also look at Carpal Tunnel Syndrome. Here we look at the regulations, safe exposure levels and exposure limits. We look at what your employer should do to keep you safe and what you can do to help yourself to stay safe. This section includes a vibration exposure look-up table, as a quick reference to give you an idea of how long you can safely use a tool and at what point you MUST stop. This Hand Arm Vibration Awareness Training course concludes with a 20 question multiple choice test with a printable certificate. In addition, brief in-course questionnaires guide the user through the sections of the training and are designed to reinforce learning and ensure maximum user engagement throughout. Your Hand Arm Vibration Awareness Certificate includes your name, company name (if applicable), name of course taken, pass percentage, date of completion, expiry date and stamps of approval or accreditations by recognised authorities. Based on 50 real user reviews. an interesting course, i already knew the hazards but still interesting to learn more. A good course, worth doing. Nicely laid out and explained with detail, easy to follow and understand. Read our full reviews for Hand Arm Vibration Awareness (HAVS) Training. The Control of Vibration at Work Regulations are based on a European Union Directive and were brought in to make sure that workers are protected from risks to their health from high levels and frequent exposure to vibration. The employer shall ensure that risk from the exposure of his employees to vibration is either eliminated at source or, where this is not reasonably practicable, reduced to as low a level as is reasonably practicable. The Health and Safety at Work Act 1974 and the Management of Health and Safety at Work Regulations 1999 together ensure that employers have legal responsibility to ensure the health and safety at work of all employees. And this includes making sure employees are safe when using vibrating tools. Who should take our Hand/Arm Vibration Awareness Training? Anyone that uses vibrating tools should use our Hand/Arm Vibration Training, whether you use vibrating tools as part of your job or in your spare time, training is essential. In fact, it happens whenever vibration is transmitted from what you are doing into your hands and arms, no matter what you are doing. And, this can affect your health. HAVS or Hand Arm Vibration Syndrome is the medical term for symptoms that can be severely disabling and are brought on by regular use of vibrating tools. Having HAVS can cause many different hand dysfunctions such as loss of sensibility, decreased force grip and blanching. Some people will experience symptoms within just a couple of years of exposure to vibrating tools, whereas others can work for decades without experiencing any symptoms.